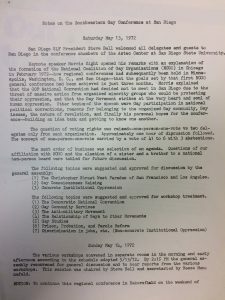 The object includes notes from the Southwestern Gay Conference at San Diego, May 13-14, 1972. Notes include a list of groups in attendance and minutes from the meetings on both days. 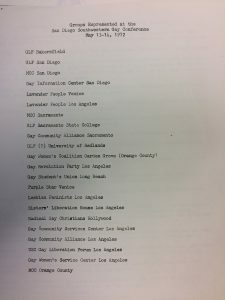 There are twenty-two groups listed in attendance, including regional groups, university groups, and institutions such as Gay Women’s Service Center Los Angeles. Minutes include a summary of the keynote speaker’s address, questions of voting procedure for the weekend, establishing an agenda for the weekend, and a list of the various motions put forth for vote with pass/fail information for each motion but no actual vote count. There is no description of the discussions that took place in the various workshops held, though there is a list of the topics covered in each workshop as well as a general description of when the workshops were held. 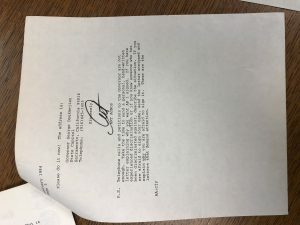 These documents are typed and appear to be original. This spatial project focuses on studying the moviegoing patterns in North Carolina from 1896-1930. However, the project also analyzes the effect that race had on moviegoers and the 1200+ different establishments in North Carolina. The focus is on North Carolina because one-third of the population was African American and urban life was where most movies were shown. The analysis of North Carolina allows there to be a cultural and historical significance to be found in moviegoing. The primary research question is: How did racial differences create different experiences in watching films in urban areas, more specifically the South? Most of the information and results of the study are labeled poorly which makes it hard to find it. There are randomly placed hyperlinks that lead to different pages of the site, but also take you to external pages within the same tab. 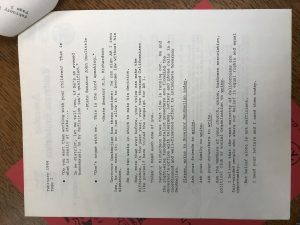 The important information is featured in Special Features and has different sections that include a timeline (very challenging to navigate through) The project sheds new light on the experience of moviegoers while taking race into account. Most theatres were segregated and were known as black theaters. There is a map that list the different theaters but seems to be outdated. The google map is unable to load properly and has overlays that take away from the learning experience. The layout of the website is simple, yet cluttered. The similar blue colors throughout the project make it hard to find certain things. Although the labels are along the top, there is no clear distinction between any visual aids or more textual information. When reading the special features tab, I was trying to find more subsections about the cultural and social effects of moviegoing in North Carolina. I had to stumble across the thin blue sidebar labeled “contents” to find more info. The site does have great info on the moviegoing activities of people in North Carolina, but it uses outdated technologies. The mapping software references Google Earth, which is the older term for google maps. This makes it hard to find information on the theaters through the map. There is also a timeline of the theater’s existences, but it is a jumbled mess. The technologies used to create the timeline were very simple and make it hard to know how to navigate through it. I would use more contrasting colors for the site and a better outline for the tabs and info. You can label visual aids in one tab where the maps and timelines are. Then the other labels can consist of textual info and pictures accompanying the info. A lot of the theatres don’t have any information when looking for more context on the theatre. I would have linked the theaters to the textual info under special features to add a historical context to it. Overall, the website successfully provides an in-depth analysis of the cultural differences in moviegoing from 1896 and so on. However, the website is poorly organized, and the technologies used are outdated, so they don’t load properly. The search feature is the most organized and is more helpful in finding information on theaters in specific towns or cities. This booklet is for an organization known as Lesbian Solidarity from July 17 1982. “Celebrate our diversity, our unity, our past and future!” is written on the front cover below a drawing of four women. The group held this event at San Diego City College. 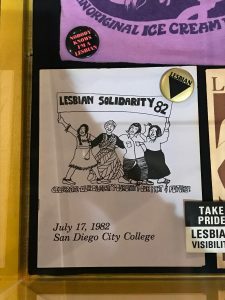 With some research, I found that 1982 in San Diego was the first year with no Pride rally, since 1975. San Diego LGBT Pride (sdpride.org) writes that “the lack of of a rally was probably due to the continued split between Pride and many members of the lesbian community, many of whom were political activists.” Another digital platform “Out on the Left Coast” mentions the Lesbian Solidarity March at City College which took place the summer of 1982. 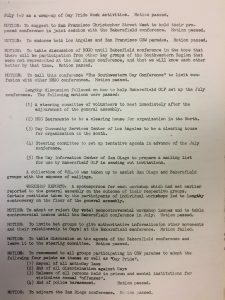 The document is part of the Lambda Archives and is currently on showcase in the San Diego History Center. 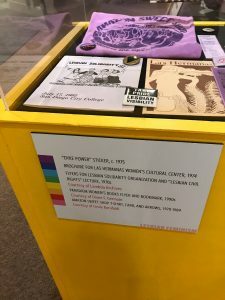 It is showcased in the “Lesbian Feminism” labeled box along with several other historical San Diego lesbian items. 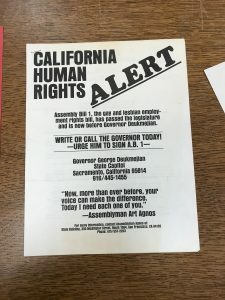 This 1984 document is a call-to-action for citizens to voice their support for California State Assembly Bill 1 (A.B. 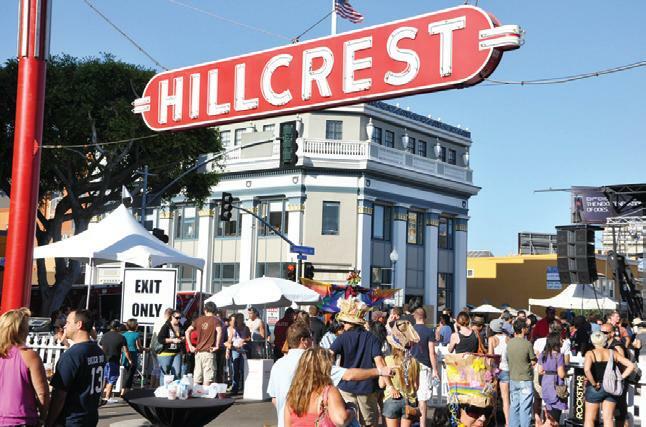 1), the gay and lesbian employment rights bill, becoming law from California Assemblyman Art Agnos. Headed with a bold “ALERT” message, the document describes the prejudiced resistance to A.B. 1 and notes the comprehensive need for Californians to respond to such opposition. 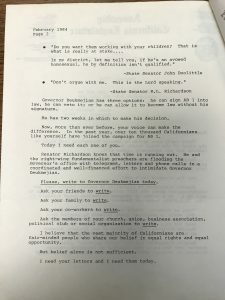 The use of quotes from oppositional State Senators John Doolittle and H. L. Richardson conveys urgency as their vitriolic hate speech includes egregious arguments such as putting state citizen’s lives in jeopardy with the AIDS epidemic. 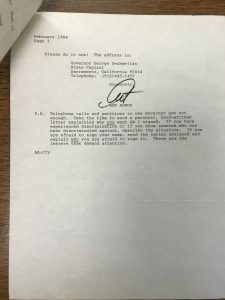 By citing the detractors’ “coordinated and well-financed” attempts to “intimidate” the Governor to veto the bill, Agnos prompts citizens to contact the Governor in support of the bill through personal, hand-written messages. This document is significant in revealing the harsh opposition to the LGBTQ+ community within the last 30 years, but also the successful mobilization to protect their rights, which are notably referred to as Human Rights in the document’s title. 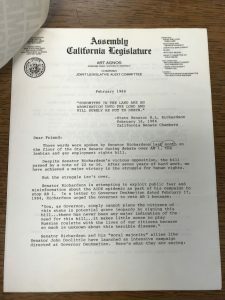 This document from 1984, intended to inform and spark action in citizens of California, details part of the fight for Assembly Bill 1 (AB 1), the lesbian and gay employment rights bill. 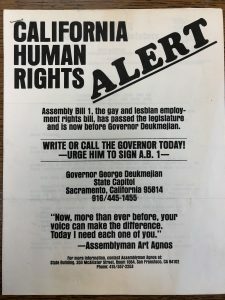 The author, California state assemblyman Art Agnos, cautions that Californians must maintain pressure on governor George Deukmejian if they wish to see the bill become law. This is necessary, Agnos claims, due to the strong and blatantly homophobic opposition to the bill within the minority of the California legislature. Agnos calls for a concentrated letter writing effort to counteract this opposition and influence the governor’s decision, allowing the bill to finally become law. 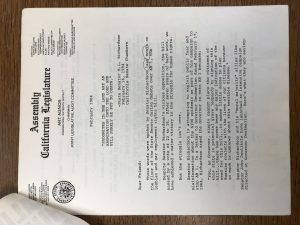 This document demonstrates some of the progress the gay and lesbian community had made in fighting for civil rights protections in early 1980s California. But it also shows the tone of the opposition and the challenges that needed to be overcome to consolidate those gains. Published by the San Diego Lesbian Organization (SDLO), this is Thursday’s Child December 1979 issue. Made up of twelve pages, this is a newspaper focused on the lesbian community of San Diego. Included in this newspaper are events for the month of December, news articles, poems, short stories, letters to the editor, reprinted articles from other newspapers that focus on lesbians, announcements, and an advice section. Among those, the newspaper also has ads spread throughout the issue that are geared towards lesbians and women in general, such as the ad for a women only workshop on racism that was sponsored by the Lesbians of Color and the Lesbians for Political Action. 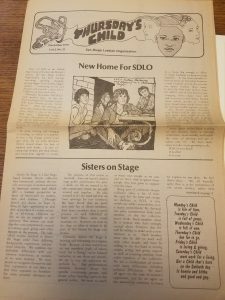 The front-page article for this issue focuses on the SDLO moving to a new location in San Diego, with meetings for the organization taking place at the new location starting on December 6, 1979.